PORT Moresby police are searching for a man accused of bribing a policeman. 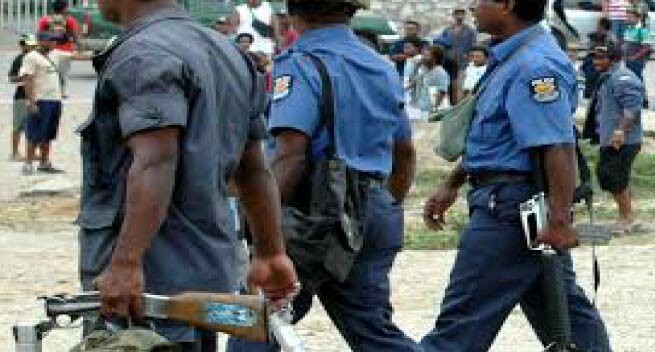 Committal Court magistrate Cosmas Bidar issued a warrant of arrest yesterday for Kennedy Amu, 32 of Kepai village, Chuave, Chimbu Province, after he absconded court on several occasions. The allegations against Mr Amu are that he was a suspect in a break and enter and robbery that happened on Spoonbill Drive, Erima, on June 1. It was alleged that Mr Amu’s white Toyota Camry was involved so police picked him up for questioning and found a Huawei tablet in his possession which they suspected was one of the valuables stolen during the robbery. It was further alleged that during interrogation, he gave Senior Constable John Max of Gordon police station K680 cash and asked that the matter be dropped and he be set free. He was arrested, charged with being in possession of the stolen tablet as well as attempting to bribe a police officer. He made his first court appearance on June 27 and was told that police were still investigating the allegations against him and it was the role of the committal court to decide if evidence collected were sufficient for him to stand trial in the National Court, the right court to say if he was innocent or guilty. He was later released on K500 bail and missed court on three different occasions which prompted the issuing of the warrant.